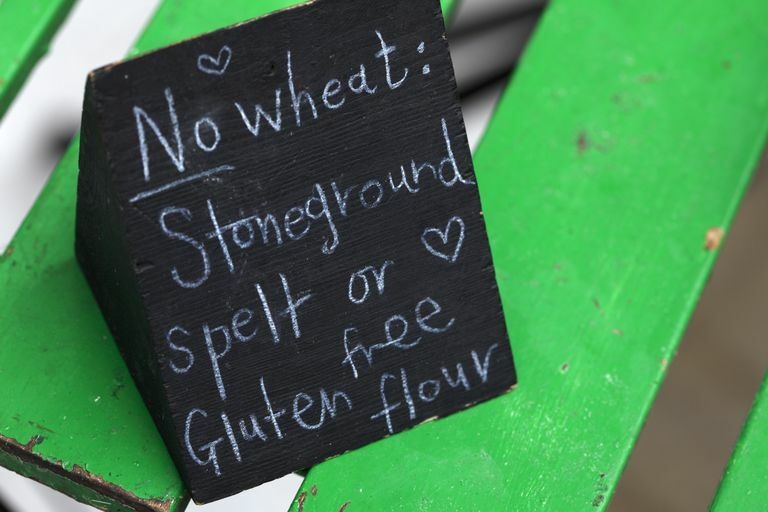 Is Spelt Safe to Eat on a Gluten-Free Diet? Despite what you might hear from that bakery owner and others, spelt is, in fact, a form of wheat. Like other forms of wheat, spelt contains the gluten protein, and therefore, isn't safe for those of us who have celiac disease or non-celiac gluten sensitivity. The idea that spelt, spelt flour, and baked goods made with spelt are safe on the gluten-free diet is one of the oldest gluten-free urban myths. The myth is one that persists despite the best efforts of many in the gluten-free community. Therefore, a little bit of background on spelt's pedigree is in order. Modern wheat goes by a variety of scientific names. All those names begin with Triticum, which means wheat. Triticum aestivum, also known as bread wheat or common wheat, is the variety cultivated by the vast majority of farmers worldwide. The grain spelt is called Triticum spelta under its scientific classification. The Triticum gives it away immediately, of course: spelt is a form of wheat. That doesn't mean spelt is identical to modern wheat—it's not. It's been cultivated in the Near East and elsewhere for at least the past 7,000 years and hasn't changed all that much since ancient times. Modern wheat, meanwhile, has been bred to maximize the gluten content, which makes the grain more effective in baking and other uses. How Will Spelt's Gluten Make You Sick? Spelt doesn't contain quite as much gluten as modern wheat, and it's actually a slightly different type of gluten. Nonetheless, if you have issues with gluten-containing foods, you'll want to avoid spelt, or you'll risk getting sick (many people with celiac disease and gluten sensitivity have reported getting ill after mistakenly eating something with spelt in it). We're not just relying on anecdotal information about the propensity of spelt to gluten you, either. Medical researchers have looked at whether people with celiac disease will react to foods with spelt, and the answer is, yes, they will. In one study, published back in 1995, German scientists examined the genetic structure of spelt's gliadin protein (one of the components of gluten), comparing it to the gliadin found in modern wheat. They found some differences but concluded that people with celiac disease would react to spelt just as they react to modern wheat. A second study, performed in 2007 in Italy, took two different lines of cells and mixed them in the laboratory with extracts of four types of wheat, including modern wheat, spelt, Einkorn wheat and farro wheat. The cells reacted badly to the modern wheat and the spelt, while the Einkorn and farro wheat didn't seem to lead to negative effects. Based on the results of these studies, it looks like spelt is pretty likely to lead to a glutening. Therefore, you'll want to steer clear, even when your local bakery owner argues mistakenly that it's a healthy, safe alternative to wheat. Forssell F et al. [Spelt Wheat and Celiac Disease]. Zeitschrift für Lebensmitteluntersuchung und -Forschung [European Food Research and Technology]. 1995 Jul;201(1):35-9. Article in German. Hodberg L et al. Is Spelt Wheat Toxic to Those with Celiac Disease? Journal of Pediatric Gastroenterology and Nutrition. 2000; Sep;31(3):321. Vincentini O et al. Environmental Factors of Celiac Disease: Cytotoxicity of Hulled Wheat Species Triticum Monococcum, T. Turgidum ssp. Dicoccum and T. Aestivum ssp. Spelta. Journal of Gastroenterology and Hepatology. 2007 Nov;22(11):1816-22.